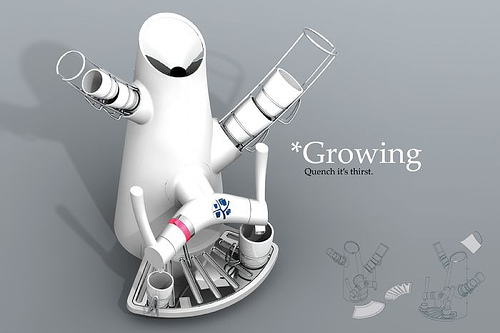 A futuristic espresso machine concept from Adam Zerbib, it is very interesting to combine the pragmatic, futuristic, and the original use of espresso machine. 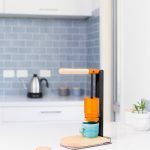 The design combines the cup and the coffee machine into one, safe some space in your cabinet, plus it fits to your modern kitchen interior (look like a white tree with its branches to me). 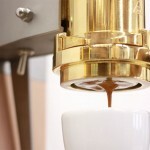 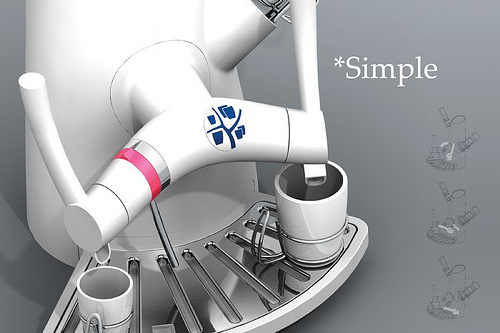 In the morning you can just pick up a cup out of its branch and start making espresso coffee. 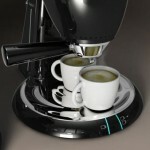 So, how do you like your coffee in the morning ? 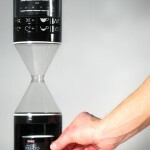 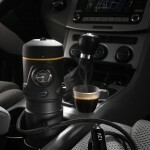 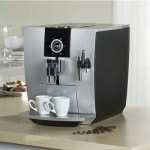 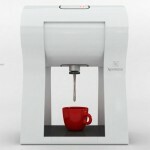 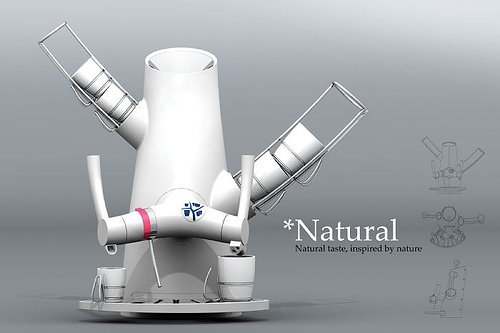 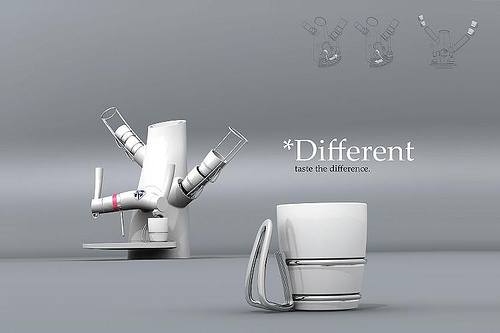 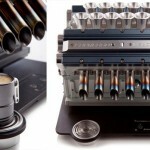 Tagged as adam zerbib, branch coffee maker, coffee in the morning, coffee machine, cup and coffee, espresso coffee, espresso machine, espresso machine design, futuristic coffee machine, modern kitchen.